Get your Regine Tweezer while they last! Swiss Made. High Precision. Hand Finished. Limited quantities available. Use the promotion code REGINE2 when ordering. Offer valid while supplies last. Available for US customers only. 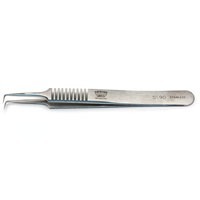 These Swiss tweezers are high quality surgical instruments comparable with German instruments at a fraction of the cost.